We just got our 2nd money collage in the mail! 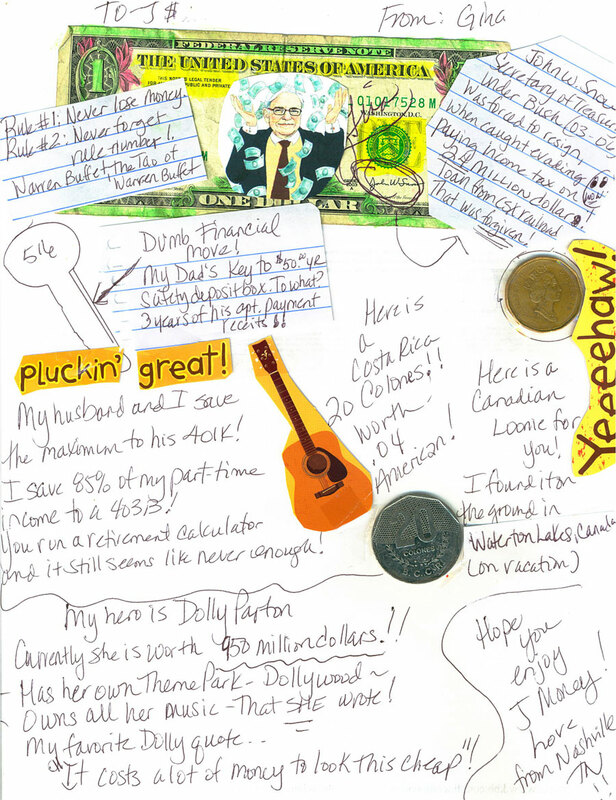 This time by fellow reader Gina of Nashville, Tennessee :) Who apparently has a crush on both Warren Buffett AND Dolly Parton, haha… but who can blame her? They’re both super smart with their business and money! If you missed the first collage we added up (I think I called it a “love letter” back then), you totally need to check it out next. It seems SlackerJo has started a new trend here, and I’m loving the new direction y’all are running with. Way to get creative! Nicely done, huh? I like how all the collages we’ve had so far somehow included Canadian currency ;) Though this time we even get some Costa Rican action up in here woop woop! And we also get our first dollar bill doodled on too, that’s hot. Warren Buffett should TOTALLY be on one of our bills in the future! Maybe if the mint ever brings back the $1,000 ones he could grace those? They save the maximum to her husband’s 401(k)! Something that’s music to my ears. And they also save 85% (EIGHT-FIVE!!) of all Gina’s part-time income into her 403(b) – which is pretty much like a 401(k) but for those in the public education and some non-profit organizations, etc. Like if you’re a teacher. Pay $50.00 a year for a safety deposit box that only has receipts in it. Thanks Gina! Some good lessons to keep in our back pockets for sure. You rock. PS: Anyone else wanting to shoot over a collage? Lemme know and we’ll make you famous!! This all started from my “dollar doodle” request which has (awesomely) gone in a completely different direction, haha… ya never know what the internets will do! Hey, sometimes you don’t feel like paying taxes on the $24M. Why get on the guy for what I’m sure was just a simple rounding error? This is very clever. I like the idea of turning an everyday object into art. @William @ Drop Dead Money – Hey, we wouldn’t discriminate if you wanted to give it a shot later ;) Maybe your thought process/design skills would be totally different than what we’re used to seeing! That would be fun! Just wanted to remind everyone that IRS is changing the maximum contribution for 2013 and you will be able to put away $17,500.00 a year. Woohooo! I freakin’ love Dolly because she can be creative and have good business sense. @Jenna, Adaptu Community Manager – You better have something important to put in there!! @Slackerjo – Oh yeah, that’s what I hear. Dang! Look at them rocking out the retirement funds!!! That is a great collage! It is beyond me how anyone can be saving so much for retirement! Does Gina have room for any other spending in her life(if she even needs to)? 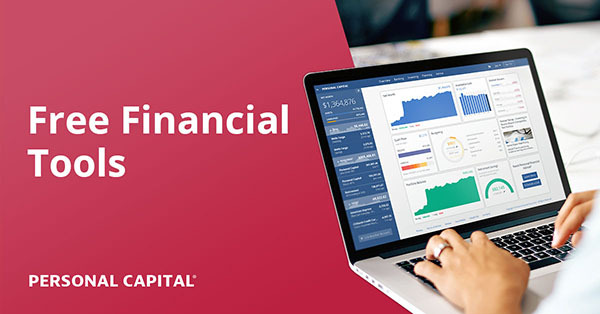 @savvyfinanciallatina – Right? Pretty impressive. @Adam Hathaway – Great question for her :) I’d imagine she does though – most people who pull this off are SUPER good with their money and frugality. Next post: Are High School Reunions Worth the Cost?